As you know I travelled to New York last week, it was one of the best holidays I've been on! I shopped and walked and shopped and walked a little more. Or a lot! It also (as cliche and soppy as this sounds) has made me find out a lot about myself. I was nervous to be in such a busy place but it wasn't bad at all, in fact, I loved the vibe and loved the atmosphere. It has made me want to push myself more, too travel more and just be happier!! 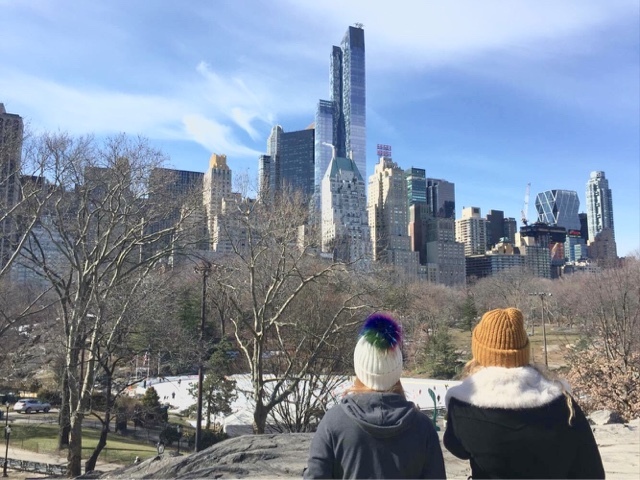 Without any more rambling, I thought I would share my week in NYC! Day One was pretty boring, we traveled for a long part of the day, unpacked, had dinner at Hard Rock and walked through Times Square. We stayed at the Times New York Hotel so it was very central to Times Square. By 8 the jet lagged hit and we said goodnight to the day!! 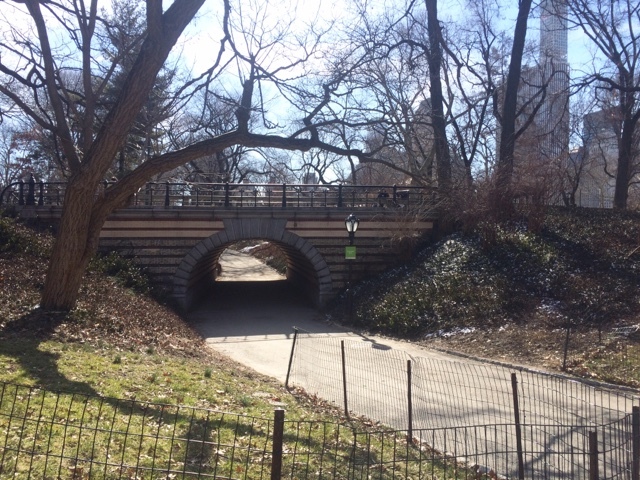 Day Two was more exciting, we had a nice stroll through NY, had breakfast and walked to Central Park. It was a super chilly day but we walked through and enjoyed the beauty of they Park. The day however was all about Soho. 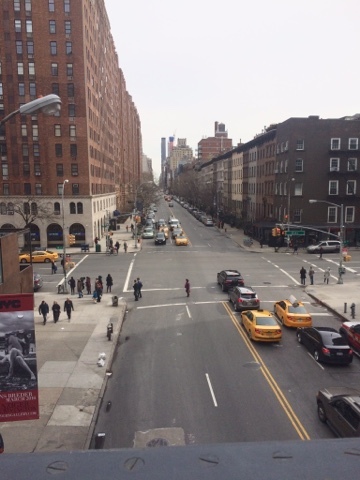 We walked along the High line, which gave amazing views, and like I said in my haul it took us a long time to get there! I really enjoyed Soho, the shops where amazing and I loved all the little apartments. After a long day of shopping we headed back to Times Square, this time in a taxi, had dinner and then went back to the hotel. Day Three was a shopping day, this time it was 5th Ave. After going to Carnegies Deli, recommended by my uncle, we hit the shops. As much as I wished we could of, we never ventured into any off the high end store. 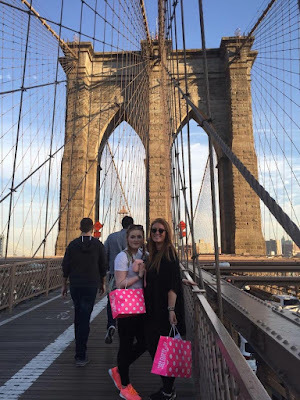 We stuck to affordable stores and bought a lot! For Lunch we went back to Carnegies and I bought an $11 cheese cake... YESS $11 for a piece of gluten free cheese cake! However, it was large slice and tasted amazing, so I guess it was worth it!! Day Four we had our New York passes (which I 100% recommend) so it was a tourist kind of day! First stop was the Empire State, finding out that it only took them 9 months to build it blow my mind!! 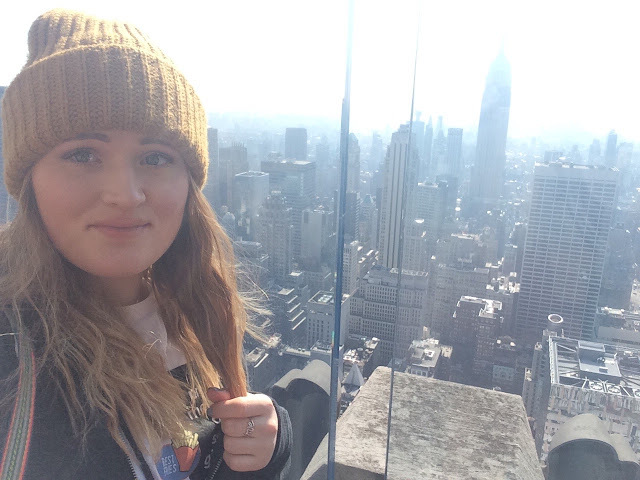 It was super windy up there but the view was incredible!! 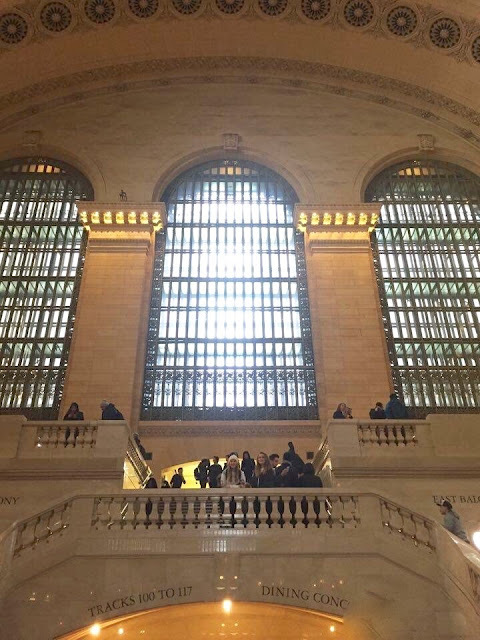 Next Stop was to have my Gossip Girl moment at Grand Central Station! Having seen many things being filmed in there, it was very exciting!! The place is massive, clean and beautiful! Then we headed to Top Of The Rock, to me it was just the same as the Empire State, maybe a different view point of the city. It was still amazing to look out at all the buildings and just life below. 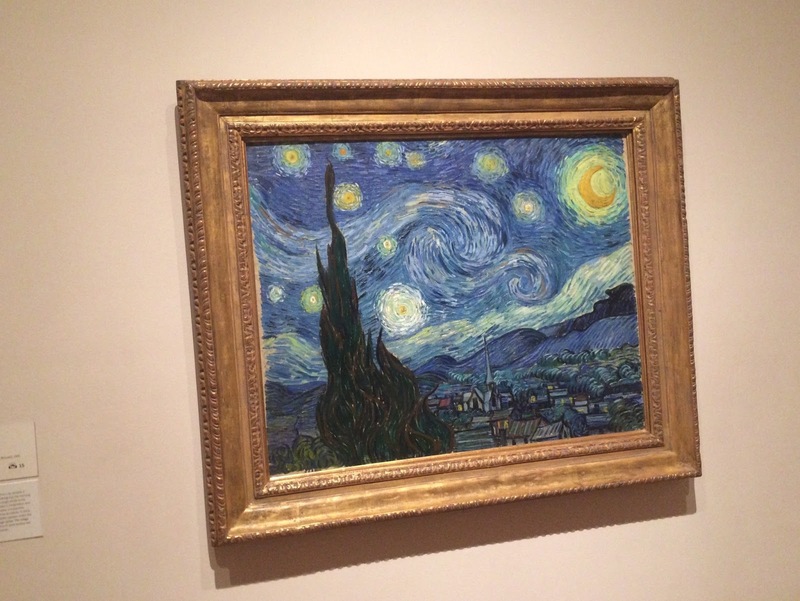 Then lastly we went to MoMa aka the Modern Museum of Art. There was really interesting Art inside, the first one being as you walk in humans in weird positions lying on the floor but the most exciting thing was Van Goghs 'The Starry Night Painting'. I wrote an essay about this at school and it the inspirational the Lush bath bomb, Shoot For The Stars. Day Five again we had our pass so it was busy busy busy. We headed to Madison Square Gardens first as we found out it closed early and was not going to be open the rest of the trip. This was one of the attractions I was most excited about, having been a One Direction fan, I remember when they announce that they were performing there. I never thought I would ever be there so to be standing outside and inside was *soppy quote on its way* like a dream come true. The tour was great and it was amazing to see inside the arena. 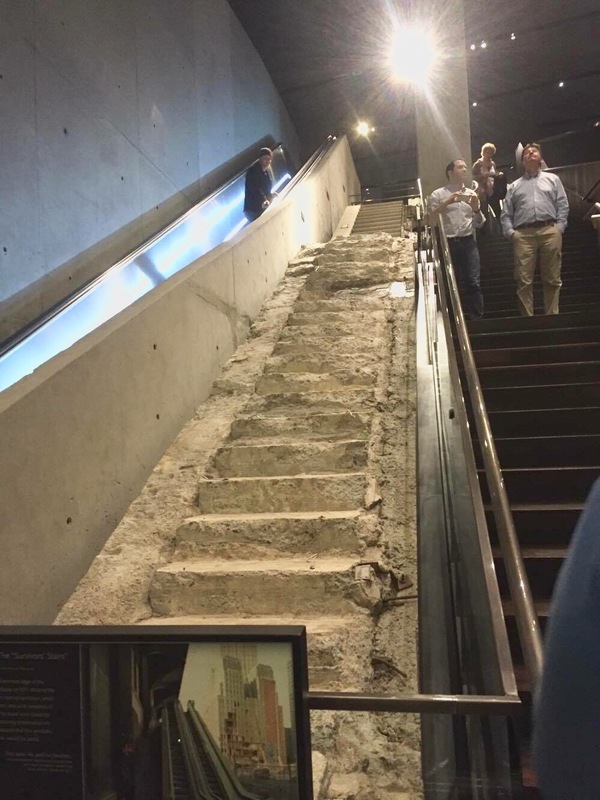 We then used the Hop On, Hop Off bus to travel too see the 9/11 Memorial Centre. The whole experience was so sad, if you don't know they have created a waterfall area where one of the Towers had been. 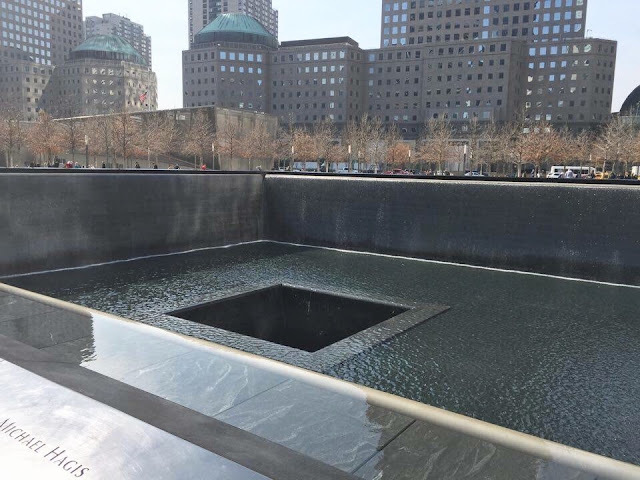 The water was to represent the tears fallen for the victims who died during the attacks!! 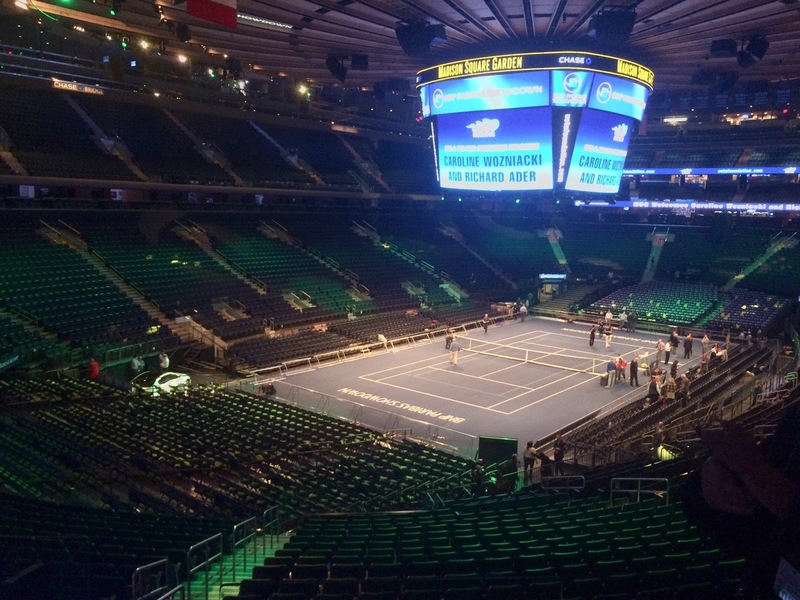 It was remarkable to be inside and be standing where it all happen, seeing all the foundations made it seem so real. The most interesting thing for me was a set of original stairs that so many used to survive! After the Memorial we headed towards Statue of Liberty, the Hop On, Hop Off was super handy to get us from A to B! We got the last boat of the day and off we went!! We never made it inside but it was great seeing it up close and realising how big it actually was!! Big shout out to the bird for photo bombing my pic! That night we had excitedly bought Matilda The Musical Tickets, the show and performers were very talented! Matilda is my favourite childhood film so as you can imagine I loved it!! 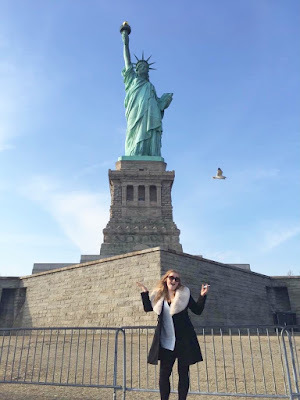 Day Six was the last day of the New York pass, we chose to go to Madame Tussauds! I will say that I was a little disappointed with it, having visited the one in London I kind of expected more. I thought it would be bigger and have more wax works! It was good but it just never stood out to me! This was our second day using the bus so we took advantage of it and went back to Soho. We did more shopping and more sight seeing, had lunch in the cutest cafe/restaurant ever and then walked through China Town! I felt quite anxious through this area, we had a look in some shops and then made our way to the Brooklyn Bridge! This was one of my major highlights, we made it just before the sun had set so we had the most beautiful view! I wished I could have stayed there all day and soak it all in!! But unfortunately we had the last bus to catch, I wasn't walking through China Town again so I had to take a quick sprint! Day Eight was just finishing up and enjoying the last full day! We walked to LeVain Bakery and shopped aa bit more! At this point my ankle gave up, the amount of walking and the spirit to the bus was just to much! So this was the first time we got taxis anywhere! The rest of the day was chilled, dinner, froyo, pack, and bed! The Last day we dropped our cases at the airport and headed to The Mills at Jersey Gardens. It is basically a outlet with lots of discounted shops. At this point my ankle was sore, I had taken my anti-sickness tablet so I was tired and I had both of my hand luggage full of stuff, so I never really enjoyed it as much as I wanted to! I ended only getting three pairs of Calvin Klein underwear, so I guess it wasn't a full disappointment! I would advise if you were to go, leave space in your bag, keep money and have a whole day inside! We got the flight home and that was that!! I would 100% travel to New York again, I have fallen in love with the city! My biggest advice is to get the New York Pass, we didn't have to worry about having to pay for anything and the bus was so handy!! Although we didn't use it, the pass gave you money off certain restaurants and even 10% of M&M World! It was well worth it! Also, take a good pair of trainers, where we were staying was so central that we were able to walk almost everywhere. 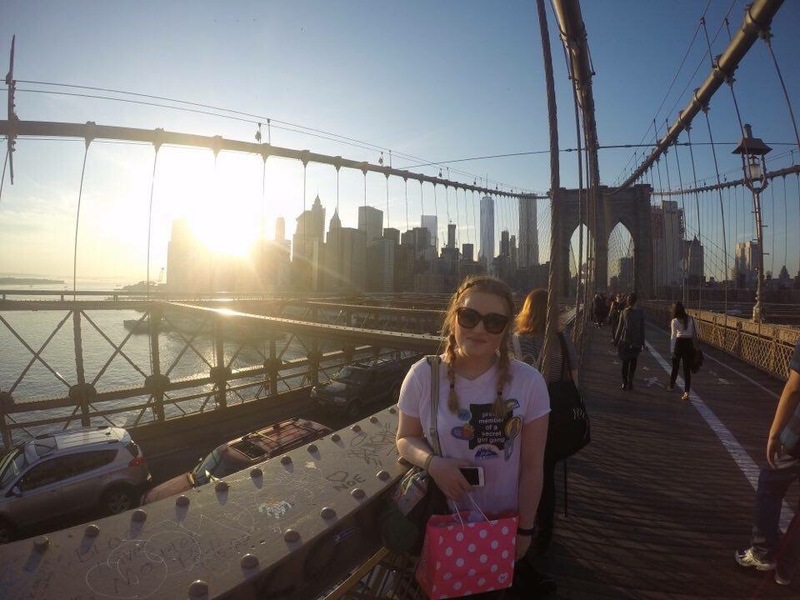 Let me know if you have visited New York and what were the best bits? Next post will be an overall haul of the trip!